Great to see this kind of info on the site. I worked 10 seasons with the USFS as an engine boss and squad boss while going through college, and my first years of teaching middle school science. In the nine years I’ve been teaching, I’ve been asked to teach an elective class or two from time to time. 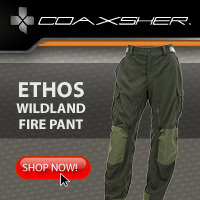 I decided to teach something I know and love, wildland firefighting. One area that’s changed a lot since I stopped working is air tankers. I’ve used your site on a frequent basis to help keep my content up to date, particularly when it comes to SEATs, VLAT, etc. box. Glad to see this. Good to see ATGS involved. Now do the same analysis compared to scoopers dipping out of Pothole Reservoir or Priest rapids lake in the area of Colockum Tarps Fire. I would venture to guess that ONE to TWO scoopers would outperform the LAT all day long. …in terms of both gallons dropped and cost. Grand-dad would be proud of “his” DC-10…He worked his way up in Douglas starting as a DC-4 General Maintenance Worker following WWII and retiring as VP in the DC-10 division. I gotta admit, I was skeptical of the VLATs at first, but after seeing them work since the Sawtooth and Horse Fires in 2006….. they have a purpose and a place in the arsenal. 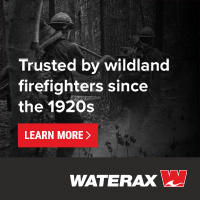 If you watch the news you might be under the impression that there are numerous VLATs working fires throughout the West. There is only one on exclusive use and another CWN. Cal Fire lost its exclusive use (immediate need) of the DC 10 do to budget cuts. There is little doubt the DC 10 is a valuable asset. Cost effective, productive, proven; maybe someone on the “top” should look into a plan to include as many as six VLATs on exclusive use. We used to call this “revenue / ton-mile” analysis in the airlines. If the effects of water vs retardant were known, then scoopers could be compared with the DC-10. There is a place for all types of water/foam/retardant delivering fixed wing aircraft. Scoopers (Fire Boss,215,415, Martin Mars one left) are direct attack air tankers. Like mobile attack on the ground with an engine. Retardant delivering aircraft usually drop in advance of the edge (green) allowing the fire to run into the drop and loss intensity. The retardant drop can be just outside of the vertical heat signature or a mile away, building line, buying time. The real value of fixed wing air tankers is to get to the fire within twenty minutes. 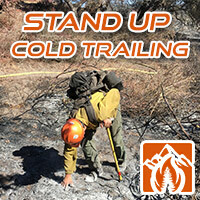 As reported last week about 200 wildfire responses by Cal Fire alone, no escapes into the second burning period. Cal Fire is running the heck out of the State tankers (23 S2T’s) on both State and Federal initial attack fires. No days off for this fleet, only crew swaps. Typical bureaucrat response. Twist the numbers to make them say what you want heard. Fact is it like comparing a Hummer to a Maserati. Sure the Maserati is fast and looks good, but the hummer, being less attractive, will go places the Maserati can not. The P2V can work in the valleys and canyons that the DC-10 can not. The P2V is designed for Initial Attack to stop fires when small. 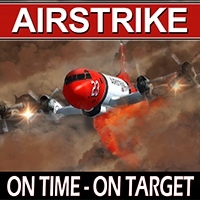 The DC- needs a special lead and airattack to do it’s mission. Same as the SEAT has it’s place, they are all tools in the box. Biggest problem is knowing how to use them to the best advantage. Odim, you are implying that the report is inaccurate. We strive to be accurate on Fire Aviation, so please point out exactly which numbers are “twisted”. Opinions are one thing, but facts are another. When figuring “cost per gallon” of retardant delivered on a fire it is easy to justify the use of the VLATs. I have yet to see a comparison showing the effectiveness of the drops, VLAT vs. smaller air tankers. The point I am trying to make is that “cost per gallon delivered” should not be a guiding factor in making decisions in the use of any tanker. There needs to be an overall evaluation of each tanker, as to it’s performance and capabilities, to judge their effectiveness. What is the percentage of burn through on each? How long is the 12,000 gal drop effective vs a 2000 gal line? 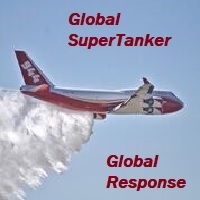 I would need to see a complete study done to evaluate all aspects of the tankers effectiveness of several fires. If the fires were attacked while small, like CDF does, there might be less of a need for VLATs except on large fires. Try that out for a few years, if it doesn’t work, reconfigure. Try and structure the fleet more toward initial attack. As a former researcher I know why there have been so many studies….Good researchers will year after year and study after study convince Washington DC or the funding source that there is more work to be done. This is how researchers ‘stay in business’. At this point it’s mostly a political decision. Coming up with a decent plan now and acting on it will be much better than a great plan 5-10 years from now. 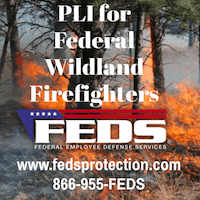 Figure 43 may be used to design an airtanker fleet that meets the USFS needs. For example, if the ability to fill 90% of all requests for a “mean plus one standard deviation year” using only the USFS contract fleet is desired, the modeling and analysis described in this report predict that 35 airtankers would be needed. If there were 35 air tankers, in an average year about 10 percent of the air tanker requests would be UTF, if I interpreted the report correctly. The land management agencies may or may not use 10 percent as a goal. Last year almost 50 percent of the requests were UTF. That section in the AVID report only used the term “airtankers”, and never specified what type. However, I could find SEATs mentioned only twice in the report, and there were not many mentions of scoopers. I am guessing that Figure 43 was not including SEATS in their analysis, and may or may not have been including scoopers. VLATs were not mentioned at all in the report, except in the appendix under literature references. 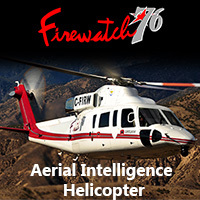 All types of aircraft, rotor and fixed wing, are valuable and have their own unique niche — the proverbial “tools in the toolbox”. I vote for the Dodge plan. From my experience, after a couple of studies, any more studies are just kicking the can down the road. CDF (Cal Fire) had great success in using the DC 10 on initial attack fires, first two hours. Not only did the DC 10 assist in stopping threatening new evolving fires, it allowed other State tankers to continue to cover their zones of influence. 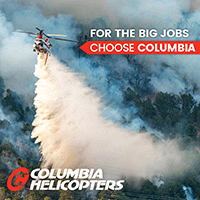 Cal Fires has numerous reports to substantiate the DC 10 cost effectiveness. 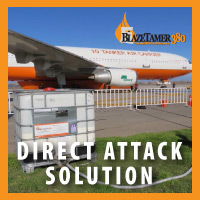 As mentioned many times the solution is regardless of the fixed air tanker to be used; have the tanker available and delivering retardant (foam, scoopers) within 20 minutes. Every fire starts as one unit of ignition. From that point on weather, fuel, fuel moisture, terrain. 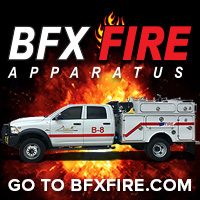 aspect, solar exposure, time of day are all key factors to a fires outcome. Burn through, the best product for eliminating burn through was when the CDF used gel. This should set off a “fire storm” of discussion. The Dodge plan is good. Thirty five fixed wing air tankers? The SEAT number seems low, does this include BLM? Four VLAT’s good. Maybe we should look at the number of Federal tanker bases and make sure that there is a fixed wing available seven days week at each base. No more tanker roulette. Tanker could be a SEAT, Fire Boss, LAT, VLAT. Think 20 minutes.